Who uses our employment marketplaces? 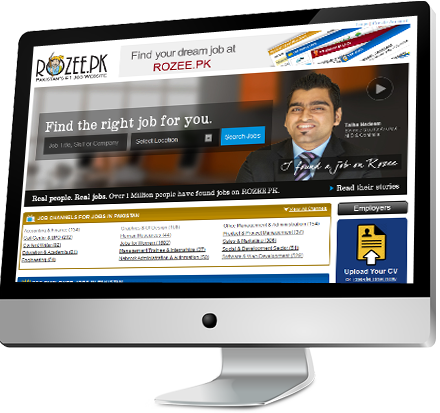 ROZEE.PK is Pakistan's dominant employment marketplace used by over 65,000 employers and HR managers to find talent. The site is visited by over 60% of the country's online population each and processes over 40,000 applications a day. ROZEE.PK won the prestigious Brand of the Year award from the Prime Minister of Pakistan two years in a row. 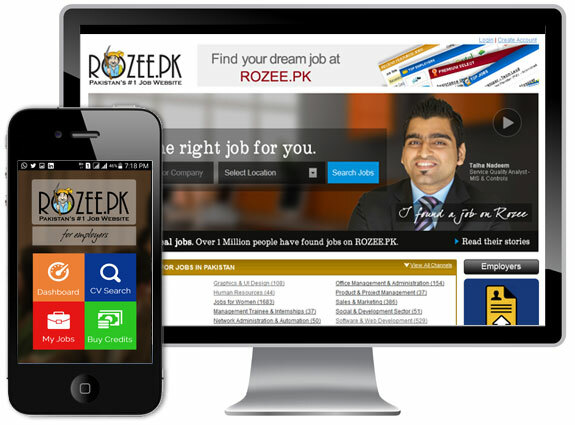 It is estimated the over 1,000,000 people have found jobs through ROZEE.PK. It has been instrumental in transforming online usage and job classifieds in Pakistan. As KSA's largest indigenous hiring platform, Mihnati is intimately familiar with the unique challenges faced by Saudi employers. Ranging from working with the Ministry of Labor to navigating Nitaqat requirements, Mihnati solutions are tailor made for KSA. 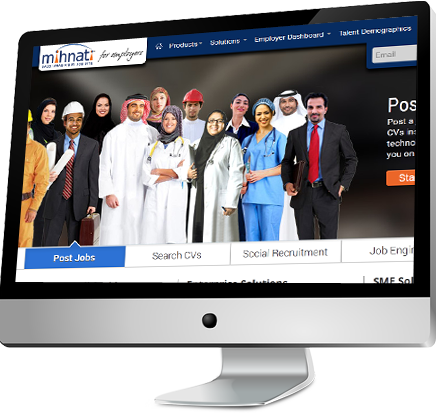 Mihnati has the country's largest database of over 650,000 Saudi qualified professionals. Mihnati's unique bilingual CV search engine gives non-Arabic speakers the ability to fully search Arabic language Saudi CVs with its fuzzy matching technology. Mihnati's Job Engine enterprise cloud recruiting solutions offer zero maintenance fully managed corporate hiring workflows that integrate with your other enterprise investments including LDAP, SAP, Oracle and MS Outlook.